Equestrian Surfaces Installation teams are specialists in the construction of horse arenas, indoor and outdoor, gallops, stables and most civil ground works. 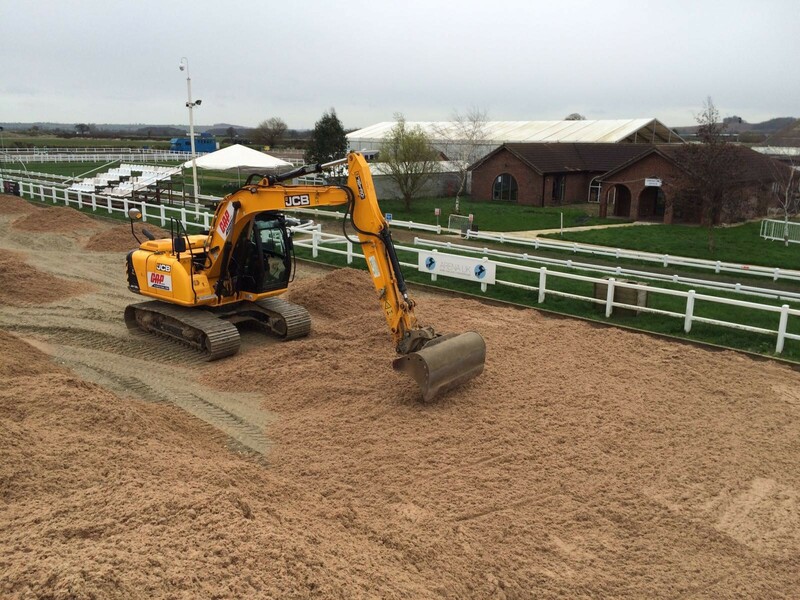 Having undertaking over 10,000 contracts in our 30+ years of business, Equestrian Surfaces are experts, whether it be for a small refurbishment of an existing arena/surface, arena construction, or a brand new equestrian facility. Equestrian Surfaces have designated installation teams who are employed directly to the company, ensuring our customers have a single point of contact throughout the whole project. Our teams are equipped with the latest technological equipment to ensure every aspect of the installation is undertaken to the highest possible standard, leaving nothing to chance. Equestrian Surfaces installation teams have worked on projects around the world, on many different terrains, climates and clients. Our extensive client database ensures we are the best company to complete your perfect arena. Our experienced sales staff can offer you the best types of surfaces suitable for a new horse arena or your existing riding arena. You can be assured of the very best workmanship, with the finished project being second to non.